Pet Health’s “New Pet Experience” is designed to make you and your pet feel like you are our only client. From hour-long new patient exam appointments to musical and pheromone therapy in our exam rooms, we go above and beyond to ensure you and your pet have the best veterinary experience possible. At Pet Health, our hour-long new patient exams are one of the most important parts of Pet Health’s New Pet Experience. Our hour-long appointments allow us time to fully examine your pet, discuss any medical issues, and develop a personalized lifetime care plan for your pet. It also gives us time to answer all your questions in an unhurried setting. Many diseases and health conditions are genetic, meaning they are related to a dog’s or cat’s specific breed. Part of Pet Health’s New Pet Experience is educating pet parents about the breed-specific conditions to which their pet is genetically predisposed. Knowing your pet’s genetic tendencies gives us the best opportunity to prevent, diagnose, and treat many painful and costly disease conditions. The New Pet Experience also includes a discussion about pet insurance options through Trupanion or other common insurance providers. At Pet Health, we believe all our pet patients deserve the highest level of care, including access to specialized care, such as root canals, advanced surgery, endoscopy, ultrasounds, physical therapy, and acupuncture. The last thing we want is for a pet’s medical care to be determined by financial constraints. Accordingly, we will talk with you about pet insurance as an option to cover certain expenses associated with your pet’s medical care. At Pet Health, we handle claims, insurance forms, and the appeals process, so you can focus your time and attention on your pet, not your veterinary bills. When you take your pet in for a routine spay, neuter, or dental cleaning, it is important to remember that, while routine, the procedure is still a surgery. At Pet Health, individual attention to each pet is our number one priority. We use only a human-grade anesthetic (sevoflurane) and state-of-the-art monitoring equipment along with the highest quality surgery materials, which allows for a safer anesthetic experience and faster recovery times. We also limit the number of surgeries our veterinarians perform in a day. 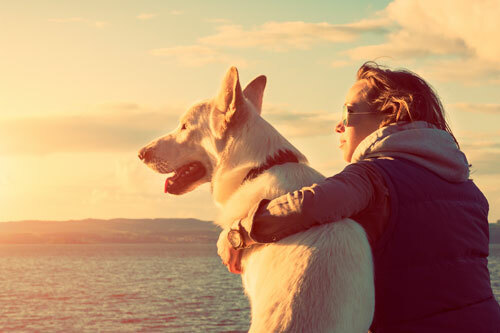 We believe this is the best way to make sure your pet is properly monitored from the start of the day to when your pet is discharged to go home in the afternoon. At Pet Health, we understand that cats are creatures of habit and may be nervous in the unfamiliar surroundings of a veterinary clinic. To make Pet Health a comfortable place for your cat to visit, our staff does everything possible to reduce stress for your cat, including musical and pheromone therapy in the exam room, both of which are designed to help soothe and relax your cat. With preparation, understanding, and a calm approach, we are able to make most visits relatively stress free for cats and their pet parents.